Hello, here is my Collectible Pins Project using some Doodlebug cut files. So many people love to collect pins and I thought this project would make such a unique way to give one as a gift to somebody special. 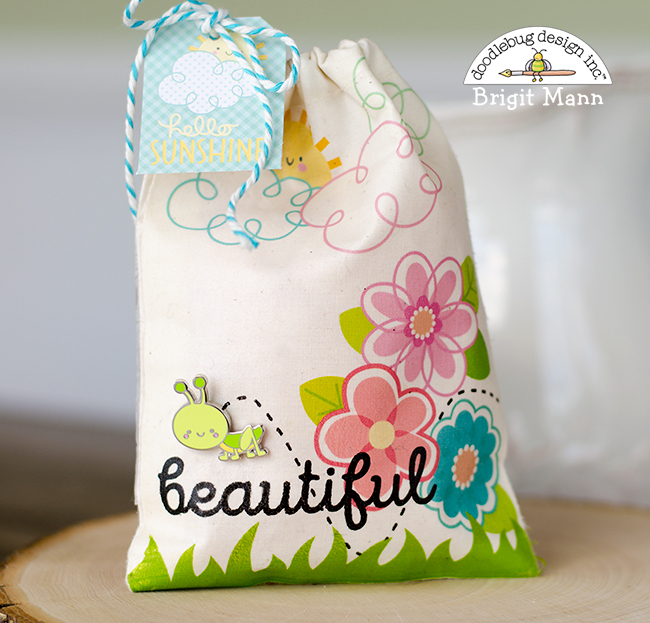 These treat bags were so simple to make and they didn't take much time at all. I took some of the cut files from the Silhouette Design Store and laid out my design in Silhouette Studio Designer Edition, you can also get the svg cut files from Lori Whitlock's shop to use with Cricut Design Space, Brother Canvas or any other software that accept svgs. I then did a mirror image and printed the designs out on some Fabric Inkjet Transfer Paper. I followed the directions and ironed them onto some muslin bags. 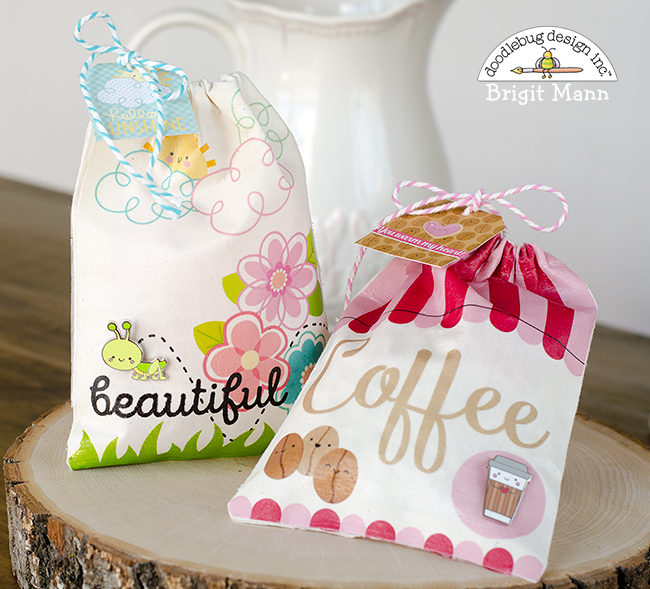 I replaced the string on the bags with some Doodlebug Chunky Twine and added the tags. 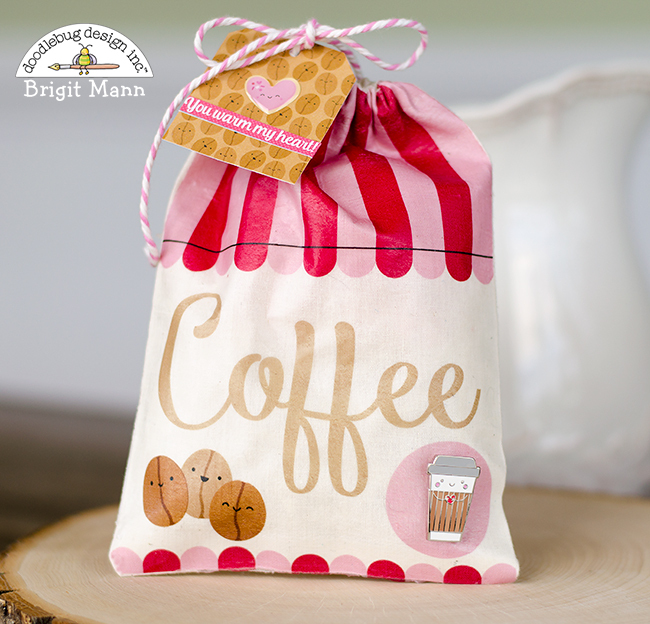 This Cup O' Jo pin along with a bag full of beans makes this the perfect gift for that coffee lover! Cut files and tag are from the Cream & Sugar collection. Hopper the grasshopper is the cutest pin, I knew I wanted him hopping through some flowers. Everything except for the grass is from the Spring Things collection. I hope you've enjoyed these projects, have a wonderful day!